The Creative Work Fund is awarding 15 new grants totaling $592,800 to Northern California artists who are collaborating with local nonprofit organizations to create new works in media arts and performing arts. These grants celebrate the role of artists as problem solvers and the making of art as a profound contribution to intellectual inquiry and to the strengthening of communities. Awarded works, when finished, will include short videos telling stories of people caught up in the criminal justice system, an installation highlighting the social invisibility of Filipina domestic workers, an excerpted tale from The Mahabharata told from the perspective of a principal female character, and a youth-focused hip-hop album that explores contemporary gender issues and LGBTQ identity. Since 1994, the Creative Work Fund has contributed $12.6M to advance art-making by Northern California artists working in a variety of disciplines. Grants range from $10,000 to $40,000. They are highly competitive and are recommended to the fund by committees of distinguished panelists. Sam Ball is collaborating with Jewish Family & Community Services East Bay to create What We Carry with Us, short documentary films and a suite of audio and video pieces that tell LGBTQI refugees’ stories through a focus on the prized possessions they retained through their immigration journeys. Esy Casey is collaborating with Filipino Advocates for Justice to bring visibility to Filipina domestic workers through Kapwa Ko (Both of Me), a video installation that will include a soundscape and video content from interviews with workers along with images of domestic work projected onto piles of dishes and folded clothing. Sophie Constantinou is collaborating with Collective Impact to produce Buchanan Stories/ Buchanan Change, composed of three short films and several audio and video clips focused on pressing issues identified by residents of San Francisco’s Western Addition. Anna Fitch and Banker White are collaborating with Family Caregiver Alliance to create a multimedia gallery installation, Heaven Through the Backdoor, that tells the story of a fiercely independent 88-year-old Swiss émigré who, at the end of her life, resisted hospitalization and chose to die at home. Jane Greenberg is collaborating with Ella Baker Center for Human Rights to co-create three short videos featuring personal stories of individuals caught up in the criminal justice system. The videos will explore the root causes that led to the subjects’ criminalization. Yvan Iturriaga is collaborating with Movement Generation to produce the eight-episode second season of the comedic web series and cultural organizing project, The North Pole: Loyal to the Soil. This series amplifies the voices of working-class residents of color in Oakland who face urban displacement and environmental injustice. Leila Weefur is collaborating with Aggregate Space Gallery to create a large-scale sculpture and media works titled Between Beauty and Horror, which investigate the imposed beauty standards that affect the perceptual experiences of Black bodies. Weidong Yang is collaborating with Djerassi Resident Artists Program to realize Mapping the Neurons of Artificial Subconsciousness, a data visualization project exploring patterns of artificial intelligence and social networking growth, plus the influence of both on human consciousness. Brenda Wong Aoki is collaborating with Gamelan Sekar Jaya, choreographer Emiko Saraswati Susilo, composer I Dewa Putu Berata, and shadow puppet master Larry Reed to stage an interdisciplinary work formed from excerpts from the classic epic poem, The Mahabharata, as told by Draupadi, a principal female character. Franco Imperial is collaborating with Taiko Community Alliance and three seminal United States taiko companies – San Francisco Taiko Dojo, Kinnara Taiko, and San Jose Taiko – to create Made in America: Taiko Voices in celebration of the 50th anniversary of taiko in the US. Alam Khan and Arjun Verma are collaborating with Del Sol Performing Arts Organization and composer Jack Perla to compose and perform KARUNA SUPREME, a series of ensemble works based in the style and instrumentation of North Indian classical music. Jo Kreiter is collaborating with The Museum of the African Diaspora to create Don’t hold the iniquities of our forefathers against us. Let your tender mercies speedily meet us, for we are in desperate need, an aerial dance work, exhibit, and conversations about mass incarceration and the complicated, problematic, and honorable history of solidarity between Black and Jewish movements for social change. Lenora Lee is collaborating with media designer Olivia Ting, composer Francis Wong, and Chinatown Community Development Center to create and present a new site-specific, multimedia, immersive dance project, And the Community Will Rise, focused on stories from residents of the Ping Yuen housing complex in San Francisco’s Chinatown. Kaitlin McGaw and Tommy Shepherd, Jr. of Alphabet Rockers are collaborating with Our Family Coalition to create From A to Ze (working title), a youth-focused, 10-song hip hop album exploring contemporary gender issues and LGBTQ identity. Nkeiruka Oruche is collaborating with The Dance Brigade, a New Group from Wallflower Order to develop and present Bakanal de Afrique: What Had Happened Was…, a dance-theater performance piece asking people of the diaspora to reflect on and tell a story from a specific moment in their lives. 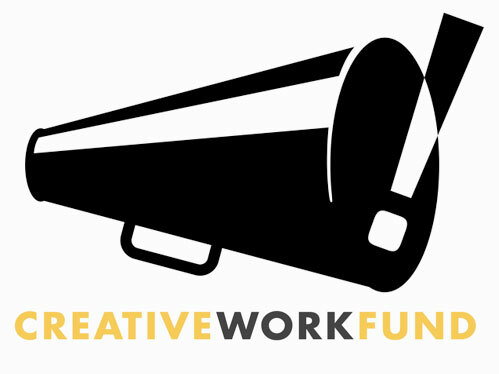 The Creative Work Fund was initiated in 1994 by four Bay Area foundations that wanted to contribute to the creation of new artworks and support local artists. It is now a program of the Walter & Elise Haas Fund that also is supported by a generous grant from The William and Flora Hewlett Foundation. For the 2018 grant cycle, the Fund invited applications from media and performing artists living in the nine greater Bay Area Counties. The grant selection process calls upon assistance from distinguished panelists and advisors. 2018 Media Arts panelists were: artist Rebecca Allen, founding chair of the UCLA Department of Design Media Art; Elyse A. Gonzales, assistant director of exhibitions at the Art, Design & Architecture Museum, UC Santa Barbara; Stephen Gong, executive director, Center for Asian American Media; visual and sound artist Kadet Kuhne; and Sky Sitney, co-creator and co-director of Double Exposure film festival. Dena Beard, executive director of The Lab, and documentary filmmaker Laurie Coyle served as additional advisors. 2018 Performing Arts panelists were: Beth Boone, artistic and executive Director, Miami Light Project; Bonnie Brooks, former presenting series director, Dance Center, Columbia College Chicago; director, writer, and dramaturg Ellen Sebastian Chang; composer and pianist Gabriela Lena Frank, co-founder of the Gabriela Lena Frank Creative Academy of Music; and Emily Morse, artistic and executive director, New Dramatists. Adam Fong, co-founder of The Center for New Music; Jennifer King, Founder and Artistic Director of Napa Valley Conservatory Theater and Shakespeare Napa Valley; and Tomás Riley, former executive director of CounterPulse, served as additional advisors. For further information, contact Frances Phillips or Faiza Bukhari at the Creative Work Fund (415) 402-2793; or visit www.creativeworkfund.org or www.facebook.com/cwfCollab/.